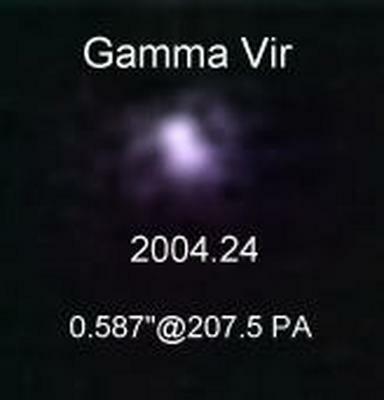 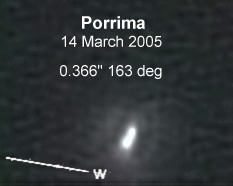 Porrima is a binary with an orbit of 168.7 years. 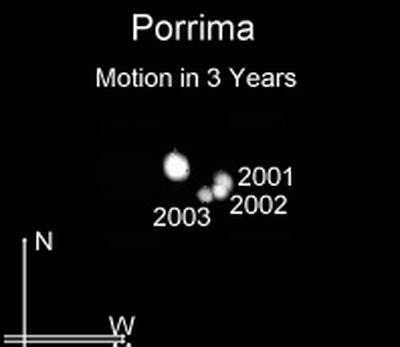 At the moment the stars are near to their closest approach and will be difficult to separate for the next few years. 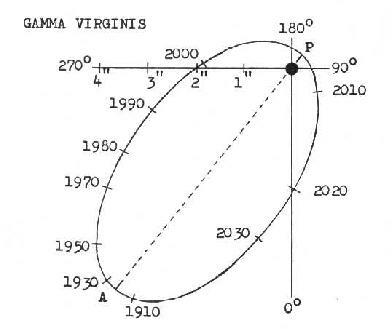 This gives an excellent oppertunity to observe real change in the separation and position angle of a double. 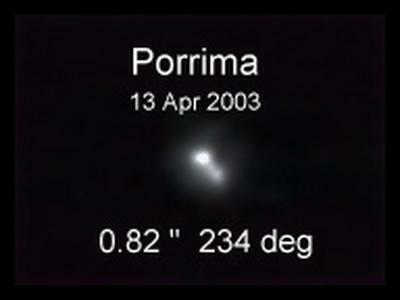 Both stars are of almost equal brightness: magn. 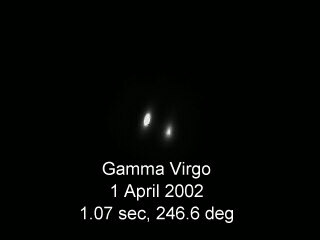 2.7 and 2.8 (Hipparcos 1997) or 3.5 and 3.6 (Tycho 2 2000) which makes them difficult to split when they are around or less than 1" separated, but which also makes the pair a brilliant double when their separation is larger again.